This is the story of three sisters, and of their retired Shakespeare-spouting professor father and a mother stricken with cancer. They are three very different sisters, which is what creates the tension in this family novel. Firstly, there is Rose (Rosalind), the oldest and the smart one, born six years before the second child and twelve years before the youngest. She has found a perfect man to marry but with one small problem: He’s teaching at Oxford and wants to stay there, thank you very much. Secondly, there’s Bean (Bianca), the glamorous middle daughter fired from her job in New York City due to a crazy little thing called embezzlement. She’s not quite perfect. And, thirdly, there’s Cordy (Cordelia), the baby, the wild one pregnant with the baby of an unknown father. Cordy’s always been a wanderer. Is she finally ready to settle down? It’s their mother’s cancer that brings them back together under the same roof in a small town in Ohio. There’s not much oxygen to spare… You are likely thinking that this is going to be one very predictable read; if so, you would be wrong. This is a novel that surprises and delights. 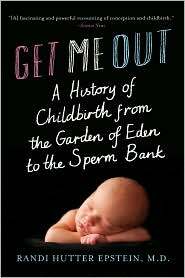 Author Eleanor Brown seems to tell the story flawlessly – I kept searching in vain for the seams in the tale. They’re there somewhere, but they seem to be woven with invisible thread. Brown’s journalistic voice contains a beautiful tone – it is never too strong nor too weak. It simply feels like one is listening to someone accurately describing and detailing the events of three sisters’ lives. And there’s likely more than a trace of real life in this tale, as the author just happens to be the youngest of three sisters. Anyone who loves literature and the greatest writer in the English language will treasure Brown’s educated and clever references to the writings of William Shakespeare. Each of the daughters is, of course, named after a character in one of the Bard’s plays, and their lives sometimes feel as if they’re characters on a stage. As the story unfolds, each of the daughters must deal with their mother’s mortality and with their own coming to grips with what it is they actually want out of life. In one sense, each of them must decide between an external version of achievement and an internal one. “We were all failures,” thinks Bean at one point about herself and her siblings. But they all wind up successes in a story that is wrapped up so beautifully well. Contentment is the reward for the reading. A review copy was received from the publisher. 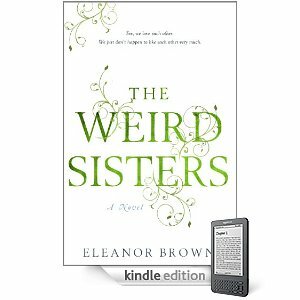 The Weird Sisters was published on January 20, 2011. 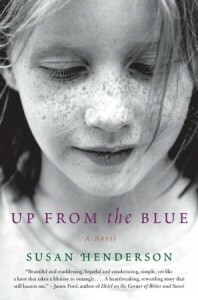 Warning: You should not take a glance at Up From the Blue, the debut novel from Susan Henderson, while you’re reading another book. I did and found it was impossible to return to the other book until I’d completely finished this well-told and very different story. It is the tale of Tillie Harris, an eight-year-old girl, whose mother disappears during a family move in 1975. Tillie’s mother has been depressed and disturbed, but never suicidal. Tillie herself is a free spirit, a younger version of her mother who should never have married an uptight Air Force officer-engineer who designs war missiles for the Pentagon. We first meet Tillie as a pregnant adult woman who, because of some unique circumstances, must rely on her estranged father to help her get through the early delivery of her first child. Her father’s presence at the George Washington University Hospital in D.C. is the last thing Tillie wants but time and fate deprive her of other options. We start the story in present times before retreating to the nightmare that began in ’75. Even when he’s not wearing his uniform, my dad is giving orders and people just carry them out. Little else of the storyline can be divulged without giving away too much. Henderson offers the reader a highly original voice. Once you identify with and latch on to the character of Tillie, you simply want to know what happens next in her troubled but realistic life. Interestingly and ironically, the one recent novel with a similar voice shares the word Blue in its title – The Truth About Delilah Blue by Tish Cohen. Cohen’s novel is one that can’t be put down and is one that approaches a seemingly predictable ending before the apple cart is upset. The same may be said about Up From the Blue. As a public service, we repeat the warning given earlier. Do not pick up this novel unless you have time in your busy life to read it all the way through. But if you don’t have the time, make the time. Henderson is an author to watch and you’ll want to brag that you read her back when she was just starting out.